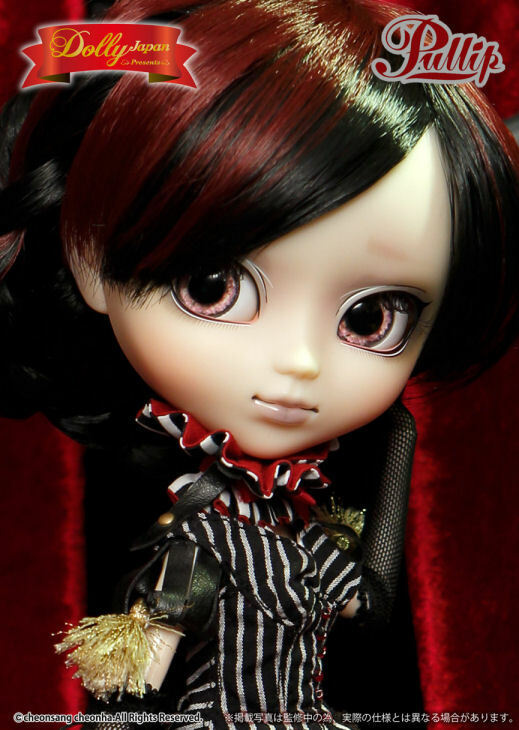 Pullip Laura was featured on the cover of the second volume of Dolly Japan, the cover photo was taken by Laura/Pure_Embers . 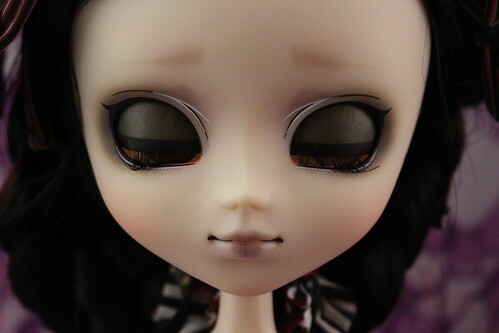 The cover photo featured Pure_Embers’ personal doll Laura, who is a restyled Pullip Seila. 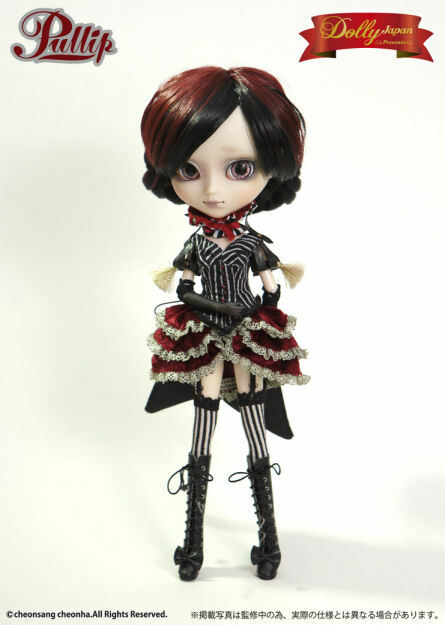 Like Pullip Alura, Pullip Laura was styled by Laura/Pure Embers, her face up is by Mitsubachi@babybee (based off of Seila’s face up) and her clothing designed by Momolita. 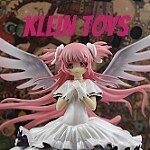 Feel Like So: Roll up, Roll up!! 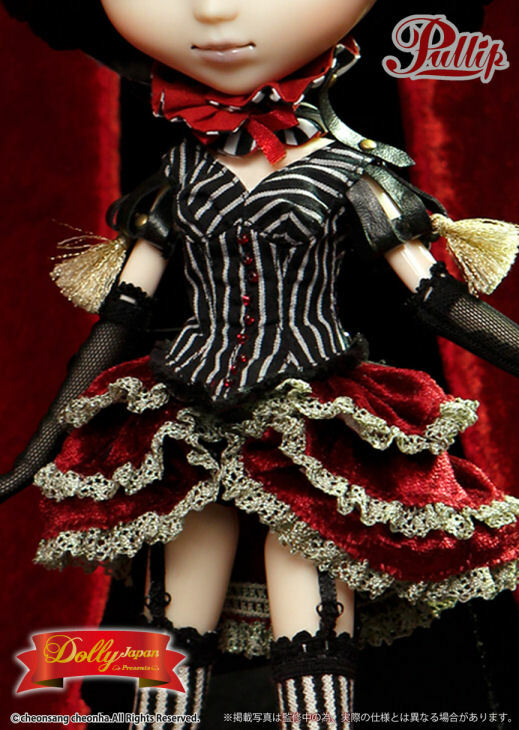 Step into my dark world and prepare to be amazed by my Gothic Circus. 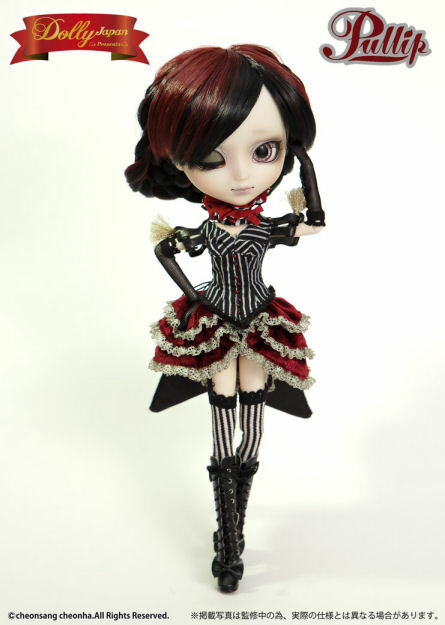 Come with me… but be warned, you may never want to leave….Feel Like So. 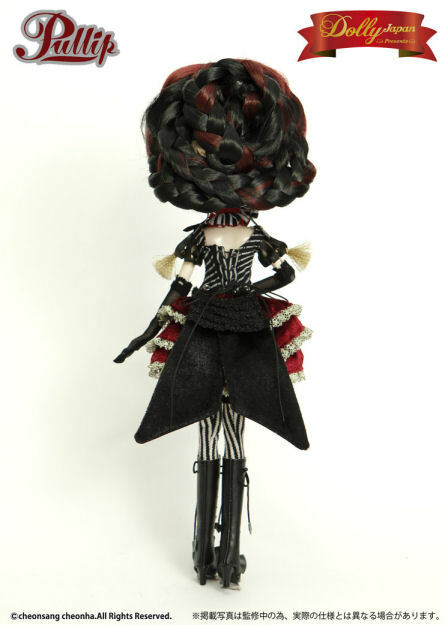 Wig: Black and wine colored wig braided into an elaborate style. 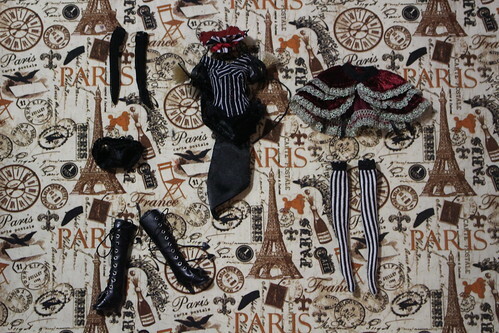 Stock: Pullip Laura’s stock consists of a corset, skirt, gloves, underwear, socks and boots. 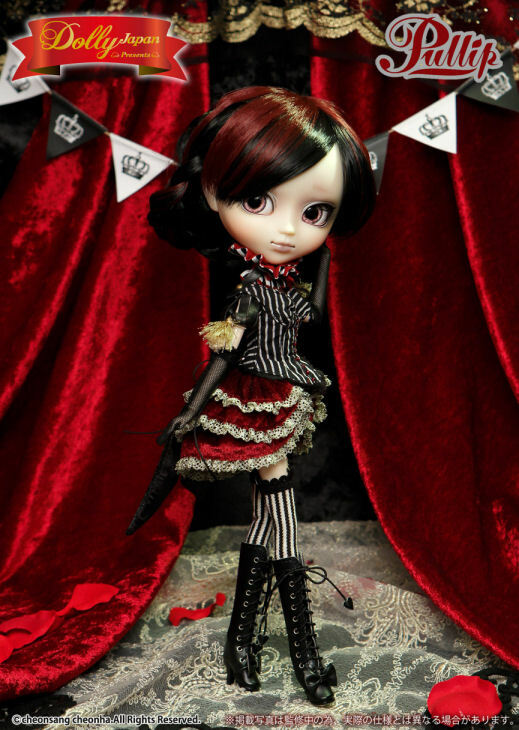 Special Notes: Pullip Laura was featured on the cover of the second volume of Dolly Japan before she was released. 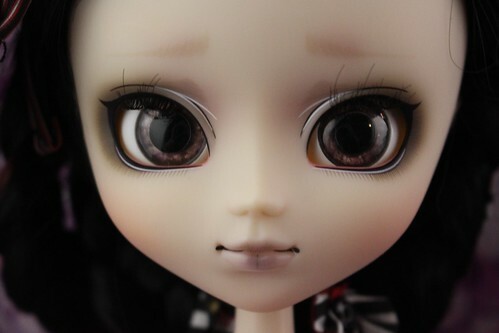 Her face up is very similar to Pullip Seila’s and Pullip Alura’s as they were all done by Mitsubachi@Babybee.